We’ve spent the first part of our series, Empowering Homebuyers Through Education, discussing the steps taken before you engage a lender about securing financing. In this article, our goal is to begin to educate you on the categories of loans and within those categories, the specific products of loans offered by lenders. This will be a multi-part article so that we can really dig in on what is important to you, the homebuyer. If you’ve started to research home financing or mortgage lending, you may have come across terms like “conforming loan”, “jumbo loan”, or “Government loan” to name a few. If you haven’t heard these words, consider yourself lucky! The reality is that the use of all these terms is another example of how the industry uses complex words to turn what should be a straightforward process into a confusing one to bolster their position as “experts”. Instead of perpetuating this behavior, we are going to use common English words to describe the categories of loans so you can actually understand what they mean. In our next article we will discuss the loan products so you will be armed with the knowledge to make informed decisions. At the most basic level, these are loans that fit the typical scenario in America (i.e. they represent nearly 60% of all loans in the US). To qualify as a conforming loan, the borrower, property and loan amount must meet standard guidelines set forth by the government agencies, Fannie Mae and Freddie Mac. 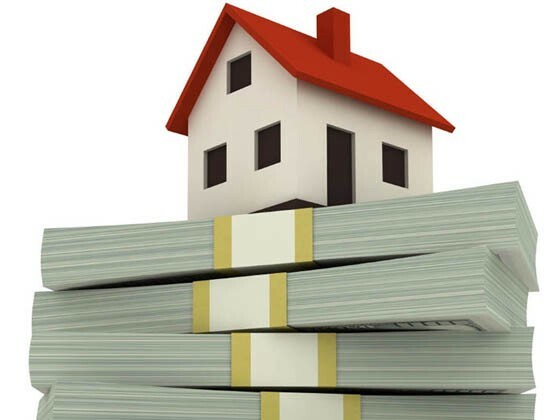 The maximum loan amount for these types of loans is $417k, however there are exceptions to this rule for certain parts of the country where home values are significantly higher than the average (e.g. Suffolk County, where Boston is located). The term “conforming” is often confused (even by the “experts”) with the term “conventional”. Conforming loans are a subset of conventional loans. In fact, all loans except for those that are not either insured or guaranteed by the US Government (see below for details) are “conventional” loans. If you encounter a person using the term “conventional”, be sure to inquire whether they are speaking about all non-Government loans and not the smaller category of “conforming” loans. This is a really poor title concocted by the industry for this category because the description implies that there might be something wrong with these loans, but they are quite simply loans that are not eligible for sale to Fannie Mae or Freddie Mac because they do not meet these Agencies’ standard eligibility guidelines. The most popular non-conforming loan is a “jumbo” loan, which is non-conforming simply because it is too large to meet the loan limit guidelines set by the Agencies. Because jumbo loans are not sold to the Agencies, they are added to a lender’s balance sheet as an asset, and therefore are often held to more rigorous qualification requirements. FHA — Administered and insured by the Federal Housing Authority, these loans offer down payments as low as 3.5%. Given the low down payment requirement, borrowers pay an upfront and ongoing insurance premium to protect against defaults. Loan sizes are subject to county limits based on home values in that county relative to the US average. VA — Administered and guaranteed by the Veterans Association, these loans offer low or no down payments, but are only available to current or former members of the military. Borrowers pay a fee (referred to as a “funding fee”) for the privilege of accessing VA loans and like FHA loans the borrowing limits vary based on the county. USDA — Administered by the Department of Agriculture, these loans cater to low and moderate income families living in rural areas. They are subject to income limits and allow for low or no down payment. Like with VA loans, borrowers pay an upfront fee (referred to as a “guarantee fee”). Quite simply, these are loans for those borrowers that cannot qualify for one of the aforementioned loans because of poor credit or some other limiting factor, such as a recent bankruptcy or foreclosure. So now you know the categories of loans that exist. If you have any questions, please post them in the comments section and we will respond publicly so everyone can benefit.